Simulate daylight and maintain constant lux levels. Using the modular Lightframe system, LED adds an extra level of evenly distributed low energy integrated LED lighting throughout. Fabric has the ability to disperse and diffuse light. A fabric surface with a single light source behind it can appear uniformly illuminated, as rays of light landing on the fabric surface are reflected, scattered and deflected. 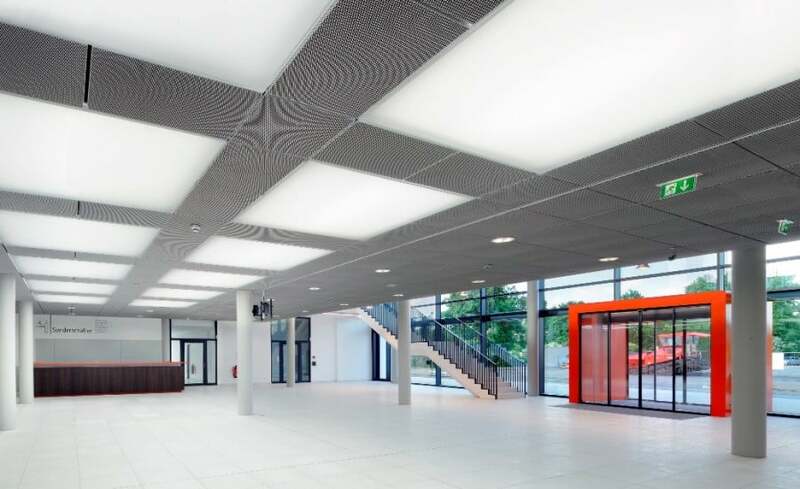 For areas with no access to natural sunlight, lightframe LED can simulate daylight and be linked to the Building Control System where sensors maintain constant lux level. Lightframe panels can be easily removed for access to building services. Because panels arrive on site ready to install, installation is rapid with immediate results. Airports, museums, hotels, event spaces, offices – any space where a premium architectural finish, lighting and acoustics is important. Our products are easy to specify. Just drop this clause into your architectural specification or download our full H90 NBS Specification. 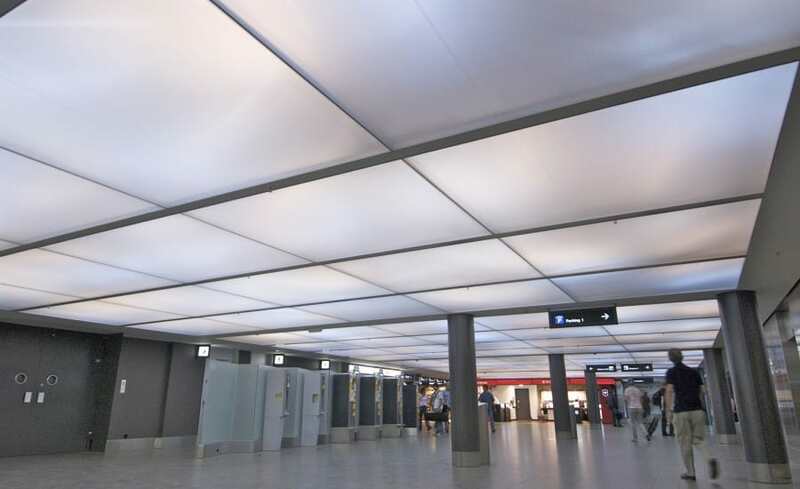 Functionality: LED panel array positioned within the Architen Lightframe System. LED panels can be programmed to create daylight or colour wash effects using DALI/DMX compatible drivers. For more information on the fabric options which are compatible with this system, take a look at our Materials section. For bespoke projects or additional information, our experienced team will be happy to guide you through the specification of an Architen Lightframe LED System.